Sydney North Health Network has been working collaboratively with the Northern Sydney LHD over the last 18 months to support integrated diabetes care. A diabetes steering group was established to inform and support this work, with members including a representative from Diabetes NSW, endocrinologists, GPs and practice nurses. Last year, practices in the Northern Beaches had the opportunity to participate in diabetes case conferencing with Dr Darshika Christie-David, Endocrinologist at the Northern Beaches Health Service (NBHS) Diabetes Clinic. This gave practices access to an Endocrinologist with the aim of addressing diabetes related clinical questions, provide learning opportunities and increase confidence in managing diabetes. By the end of 2016, Dr Darshika Christie-David had attended five GP practices and conducted case conferences with 13 GPs, discussing between 1-6 patients per GP. Feedback has been positive, with GPs and practices requesting further case conferences for 2017. A case based update on Diabetes was held on 16 February, 2017. 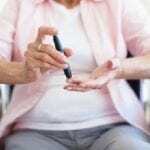 The focus was on assessment and management of the unstable diabetic patient and a refresher on prescribing principles including the use of new oral and long acting injectable hypoglycaemic agents and insulin initiation. Keynote speakers included Dr Sarah Glastras, Endocrinologist, Northern Sydney Endocrine Centre and Senior Lecturer at University of Sydney and Dr Samantha Hocking, Staff Specialist in Endocrinology (Diabetes & Obesity) RNSH and Senior Lecturer at University of Sydney. The evening saw 90 attend from general practice including 48 GPs. Please keep in mind the Diabetes Emergency Hotline for GPs. This is a 24-hour telephone advice and information service, operated by the Royal North Shore Hospital diabetes team.